Following a 'tip off' in the most recent issue of Industrial Railway Record (Journal of the Industrial Railway Society), my attention was drawn to a photograph of the 18 in. gauge Manning Wardle 0-4-0ST 'Albert Edward' at Firbeck Colliery, Notts. circa 1922 on your website. 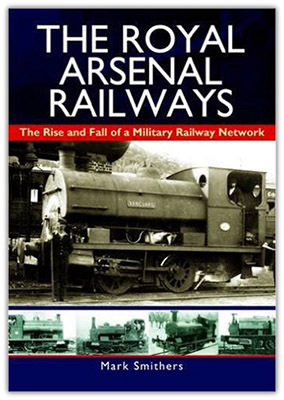 To introduce myself, I am the author of the recent 'Pen & Sword' book covering the history of the Royal Arsenal Railways, who sold 'Albert Edward' in 1919. I am therefore writing to ask whether it would be possible for me to have a decent high-res copy of the photograph of 'Albert Edward' as it would go some way to tying up the 'loose ends' on this loco (the last spares from Manning Wardle were supplied in November 1920), which is believed to have been on loan from a Yorkshire colliery whilst working at Firbeck. Dear Fionn, I wonder if you can help with this one. I am trying to establish if there is a link between the owners of Llay Main and Firbeck Colliery's. We have most of our family history and they were involved at Llay Main as Shaft Sinkers from the earliest days after the colliery was inaugurated in 1913. The owners at that time were Arthur Markham and Hickleton Main Colliery Co. The name of the Shaft Sinking contractors leader was Ben Eden and he is shown living at Llay Colliery Hutments in 1916 along with my Grandfather Charles Henry Coward at Hut Nos. 8 and 9 respectively. Our family (The Coward family) were later established in what was to become Langold in the early 1920's and again were involved in the shaft sinking for the new colliery and also the construction of mine infrastructure and the construction of the new village to house the future workforce. The reason for asking the question is that up until the 1920's my family had always been based in Wales the last location being at Llay Main so far as we can establish. They then turn up in the 1920's, the entire family, at Langold to commence the pit sinking and mine development. If there was a connection with the owners of the two colliery's, is it likely that they would have been asked to transfer all that way, which was a good distance away, or would they have just moved there off their own bat in the hope of securing work? Led by Ben Eden who was my Grandfather Charles Henry's brother in law they were possibly sought after as established Pit Sinkers of reliable reputation. Perhaps there was an established grapevine of how these people found the work?, but they were obviously highly skilled and an important workforce so I can imagine that when a company like Hickleton had a team like that they would try to hang on to them. Any help you can give would be appreciated, also would you mind copying in my brother Shaun with any advice you may have. Your suggestion that after sinking Llay Main, that finished in 1921, and production started in 1923, they went to Firbeck to sink that colliery from 1923 to 1925. Indeed skilled sinkers were sought after. Arthur Markham died in 1916 but his son Charles carried on the business and no doubt encouraged him to move. There is a vast amount of information on Google....Llay Main....Firbeck and the Markham family. Maybe you will be able to piece the bits together that are missing in your search. Trusting this information will be useful. Please would you put this question to your website visitors? Does anyone have any photos of Firbeck Colliery in the 1920s and also the Victoria Hospital, Worksop? On 17th July 1928, John Thomas Edson, aged 24 was killed by a roof fall at Firbeck and died 10 days later on 24th July. 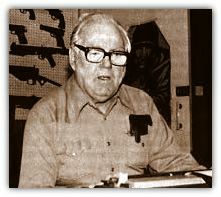 I am in the process of writing a biography of his son, JT Edson, the western/adventure author - in his 1970s publishing peak JT Edson sold 11 million copies in 17 countries, by 2000 that had risen to 57 million copies as he sold very well in the USA. JT was only 5 months old when his father died - I have tried numerous avenues to get a photograph of John Thomas Edson (1904-1928) but have so far failed. John (his dad) was the grandson of John Edson (1847-1928) who opened the first fish n chip shop in Hodthorpe, which was later run by his son and daughter in law Albert and Harriet. Another son of John (1847) was George Edson who became an overman at Hodthorpe and who ran the town's Beer Off for years. Unfortunately I have been unable to source any photos of those people. Anyone who can help will get a thanks in the author's acknowledgement list. unfortunately I cannot - now - afford to pay for contributions as I am having to seek donations/sponsorship for the biography; in this coming year I need £4000 and was refused a Scottish grant because I live in England and a grant in England because the university I was linking the biography research to is in Scotland. You couldn't make it up. This means that the research budget has now had to be diverted towards plugging the gap, so I am reliant on the kindness of strangers to help out at this stage. Any information gratefully received - please specify how you would like your name to appear in the acknowledgement list, and of course, if you are willing to make a donation: tcw.now@hotmail.co.uk. Above all, if you can locate a photograph of John Thomas Edson (1904-1928) I will see what I can do to pay a small sum for it in thanks. I commenced working at Firbeck Colliery in 1953, after finishing my training at Treeton and Orgreaves collieries; this was a period of around 3mths. I still remember my first weeks pay of £2:13:6 pence. My first job underground was working in a whitewashed office called Boxhole, my tasks were to tabulate how many miners, were working underground on a daily basis. I made numerous trips to the pit top, with a huge leather bag, containing the Deputies airways books, which I had to deliver to the undermanagers office. At the end of each shift I administered the Checks or Tallys as some miners called them. I was known underground as Budgie, due to the fact that in the 50s I bred budgerigars. My father, Jim Needham also worked at Firbeck, so did my brother Harry Needham, he worked as a surveyor on various units. I was 15 years old when I commenced working at Firbeck. I left in the summer of 1968 and had numerous vocations around the area, but as far as mates, pals, comrades, call them what you will, none could better my mates at Firbeck. I deliver to the site that was once Firbeck Colliery. Until recently I did not realise that the site was an ex-mine. I did a 6am delivery to Costhorpe Building Products in the summer months, and walked up the track to the large, red brick building that I now know to be the old engine house for the winding gear. I delivered to Costhorpe again only this morning. It's darker in the mornings now, but, thanks to you, I had some print-outs of the pictures you display of the original site. I did not venture toward the engine house, as it was simply too dark today. But just to sit at that site, with the pictures of what used to be, was pretty amazing. It's hard to believe that it's been 44 years since the pit closed, but so much of it still looks the same. Thanks for sharing the images and the history, your work does not go un-noticed! Such an eerie feeling being there this morning, so close to the pit head and those deep shafts. Imagining the lives of the people who were there. The morning was made more poignant on my return journey from Costhorpe. As I passed through Maltby, news was released that Maltby colliery may close. It's been quite a day for catching up with the past! I am in the process of writing a book on the coal mining industry within a 20 mile radius of Sheffield. I have almost completed the book , but I am just a few crucial photos short of what I need to complete. I have written the story of Firbeck Colliery and as you probably will have guessed I don’t possess one Photo. People have been absolutely wonderful in donating photos, and I am greatly indebted to them for being so kind. If you or anyone else you know could help with Firbeck, and photos before closure of Cadeby Main and Elsecar Colliery iIt would make me very happy and would complete the book. I would like to get it published for Christmas. I'm the Chairman of Friends of Langold Country Park, which the miners of Firbeck Colliery est. We have a New Information Centre at the Park, and we are wondering if you could send us copies of the old colliery photo's so we could have a display in our centre.